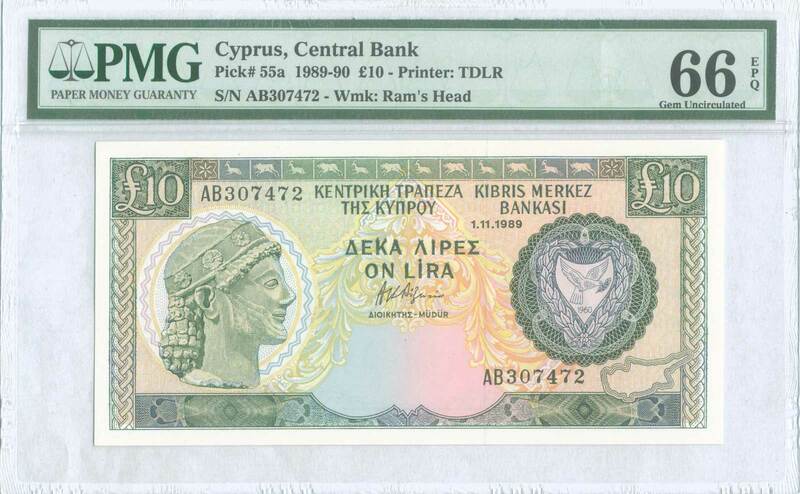 10 Pounds (1.1.1989) in dark green and blue-black on multicolor unpt with "Archaic bust" at left and "Arms" at right. WMK: Moufflon. Printed by TDLR (Without imprint). Inside plastic folder by PMG "Gem Uncirculated 66 - Exceptional Paper Quality". (Pick 55a).